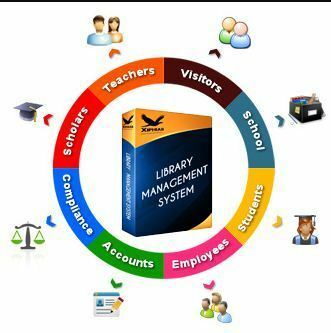 Library Management System is a software used to manages the catalog of a library. This helps to keep the records of whole transactions of the books available at library. BMP Infotech, a website and software service provider in the industry off ersunique latest technology-enabled solutions for our clients to match their needs. We adopt innovative methodologies and industry centric solutions to give the best of our service. We provides high quality services for web designing, web development, web hosting, e-commerce solutions, software development and SMS Applications to our clients on a broad range of hardware & software platforms and latest technologies at affordable costs at their doorstep. We value more on post sales servicing of our clients than pre sales. Wide ranges of solutions are offered to all type of profit and non- profit organizations/institutions, NGOs, societies and individuals. We bring more value to table our clients with our experience and constant innovation at new technology. We make the best effort through our team work to make profile glow. We can gear up your efforts to accelerate your business by creative designing. It will be a feather to our hat when our clients come up in the list of their activities and they achieve new horizons of success. Whether a beginner or a re-scheduler their need for a website is getting fulfilled here. Whether it's writing content of your website, fine tuning your site for SEO (Search Engine Optmisation) or you seek pixel perfection for your web. We wish the online visitors of your website make their visit memorable. Over all a website is a media, a tool to interact with those who are in need and so it uphold your ethics and culture. We want our clients to emerge to the peak in their business competition and win the race with more customers and make them stay with. A website is no longer simply an "online presence" but a business tool that generates its own leads and income. Because of this we understand the importance of getting the design exactly right, paying particular attention to usability, calls to action and the messages your website convey. From a development and technical perspective all of the website we design are produced using our own ideas and technology over many years and continuously being improved to cater for the latest trends. And finally, to ensure we achieve the results you desire we work with clients long term offering Search Engine Optimisation, Online Marketing and Pay-Per-Click advice and support.